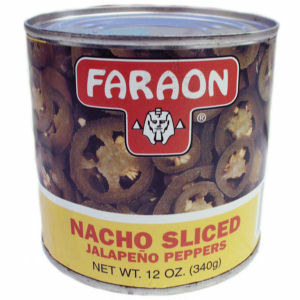 "Rodajas de Chiles Jalapenos" or Nacho Sliced Jalapeno Peppers. In any language, they are delicious, with a "cross cut" that makes this product easy to use for adding to hamburgers, salads, nacho cheese and any plate that asks for that "extra" spice. Zero fat and all natural ingredients. We don't add food stabilizers or any additives for color retention. No wonder they say "Que Ricos Son!®". How delicious!